Hey y'all! 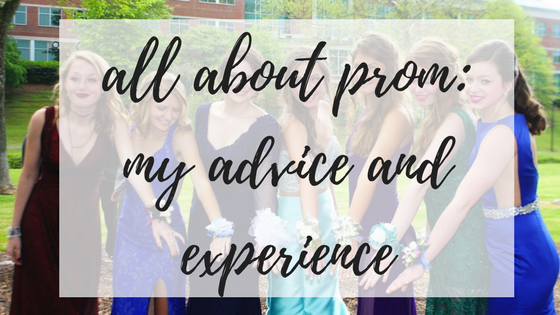 Since we are smack dab in the middle of prom season, I thought I would share with you all my experience and advice on prom- considering I have been to 2 and will be attending my senior prom in April! 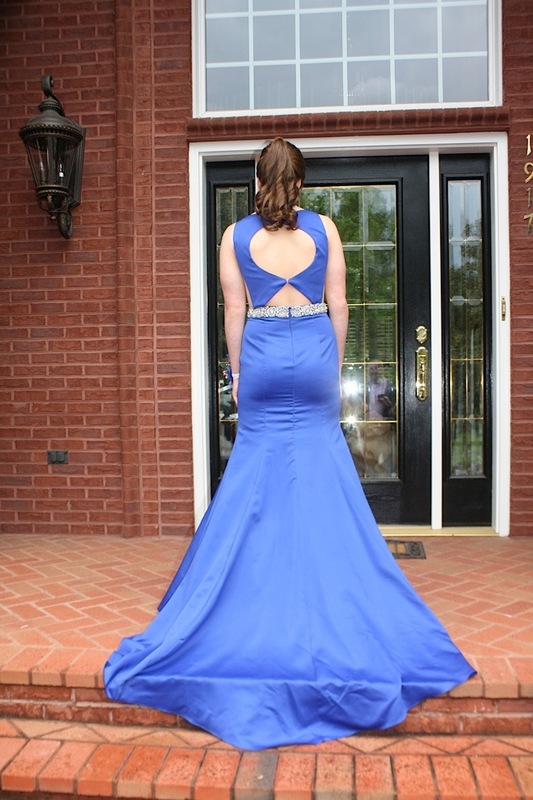 It is safe to say that I am a prom expert at this point in my life! So first off, go to prom. A lot of people think that prom is lame senior year or have certain reasons for not going, but please go at least once. And hey, if you don't like it, at least you went once! I personally enjoy prom, but it's not all it's cracked up to be. If you like to dance then you are more than likely to enjoy prom, but if you go and don't dance at all, you're probably not going to have a great time. Prom is also not "the best night of your life" or a magical night like in the movies. It is a great part of high school and something you will always remember, but I wouldn't classify it as one of the best nights ever. 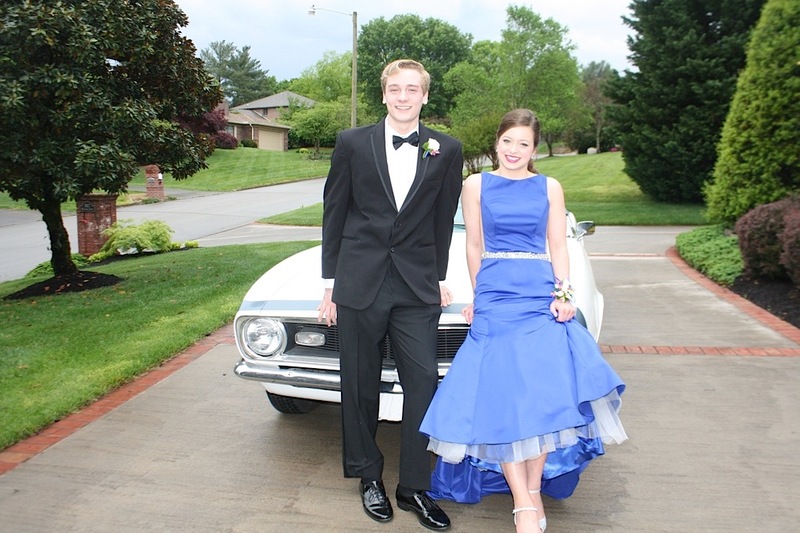 Needless to say, prom is great and I think that the stories from every imperfection or mishap, while not necessarily funny while they are happening, are memorable for the rest of your life. After high school and college, you won't have the chance to be free and wear a super fancy dress and party, so go to prom. Don't get crazy though- please stay within legal parameters! If you all are interested in my prom stories, keep reading! I'll throw in my two cents for all the aspects of prom, so grab some popcorn and enjoy! At my school, only junior and seniors can go to prom. However, if a junior or senior asks a freshman or a sophomore, we can go. Sophomore year, I had a senior friend who asked me to go with him, and I of course said yes! All the sophomores at my school swoon over going to prom (just like I did sophomore year) so it's such an honor to be asked by an upperclassman. Luckily for me, the group my date went with was composed of his friends and their dates, and the dates were all sophomores and my friends! So it all worked out swimmingly for sophomore prom. I got asked with a Starbucks coffee cup and flowers! Proposals are so over the top these days (even though they sometimes are totally #goals) so it's always sweet for something simple but sweet like flowers. I had a stressful hunt for my dress because I wanted a red, Old Hollywood looking dress. I don't think I hit the Old Hollywood part, but I definitely got the red! 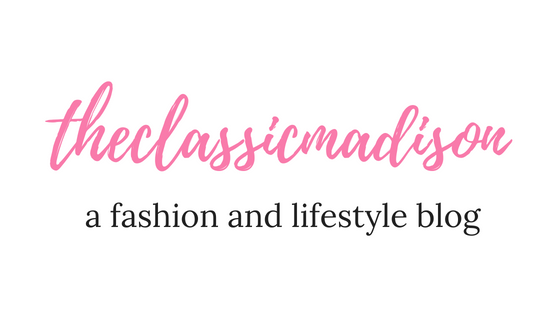 I was asked about a month before, so I was scrambling to find a dress and get it altered. That wasn't really in my control though since I didn't know I was going to prom until then. 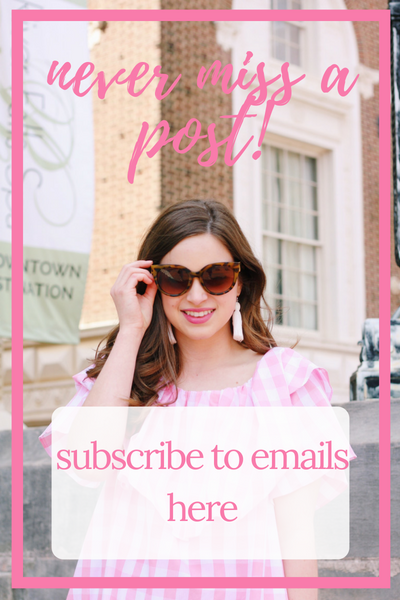 If you know you are going to prom, try to get your dress 2-3 months in advance so you can register your dress (some boutiques and schools register dresses!) and get an appointment for alterations. I was super excited for prom sophomore year and made sure everything was perfect. I am a control freak, so I went with my date to help him pick out his tux and the flowers. 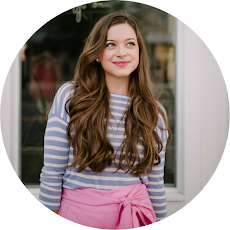 If you are a like me and like things to be perfect, see if your date needs help picking stuff out. Don't be overbearing- just helpful! This year I did a good job making sure my date got what he wanted but also that I helped coordinate what would go best with my dress. I practiced my makeup at least 5 times and my hair about 3 times. (what cracks me up is I barley wore any makeup at all as shown in this pic lol) This is a bit over the top, but I was excited so no harm in a little excitement. 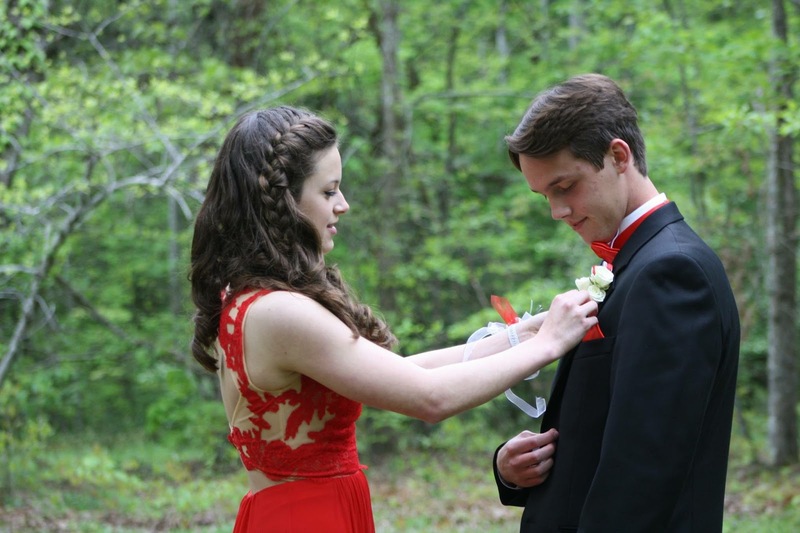 I made sure to plan everything perfectly, and some of my friends got annoyed because I would talk about prom almost every day leading up to it. I guess I was a little overzealous but I'm just someone who gets super excited for things and perfects every detail. I think that the first prom is always super exciting and hard to wait for, but don't get your expectations too high. For me I wasn't disappointed at all because I love dancing and getting all dressed up, but some people definitely let their expectations get the better of their experience. A great piece of advice to carry throughout all of your life is that expectations can disappoint. If you set your expectations to high, you will be disappointed. 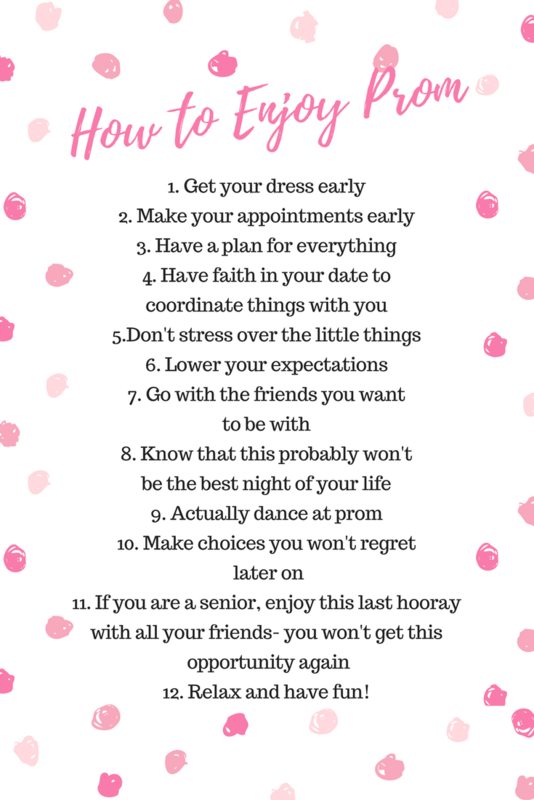 So when it comes to prom, expect that you will have fun and expect things that are in your control- such as your dress will look fabulous and you will look beautiful in pictures. But don't expect a magic kiss from your crush or a super romantic slow dance. 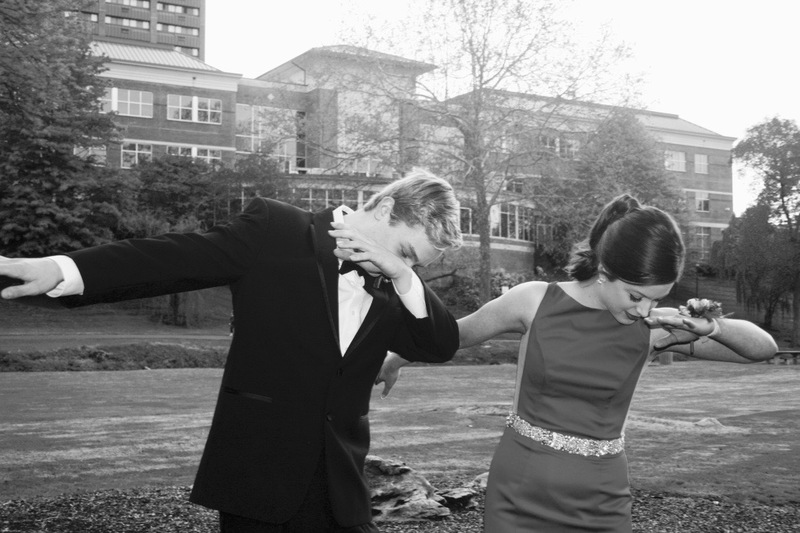 Expect happiness and fun- because that's exactly what prom is all about! I had a great time at prom sophomore year. Junior year I asked a guy friend who was younger than me. 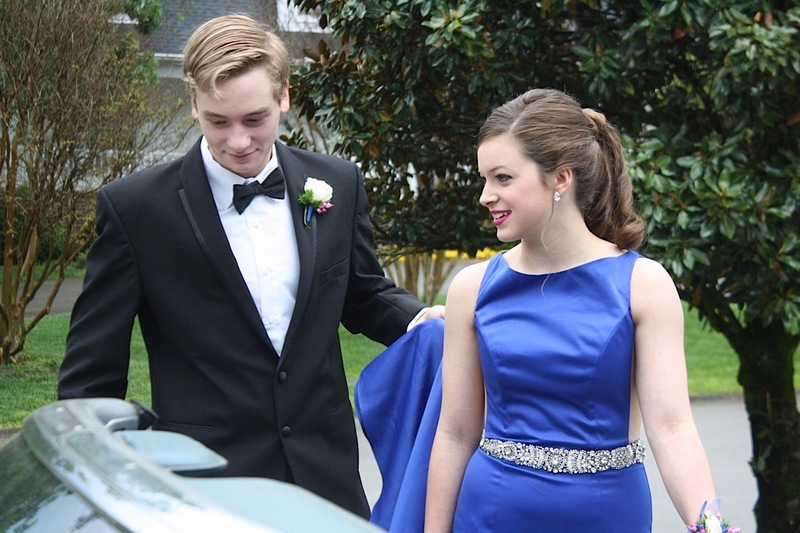 Junior year prom was a bit more dramatic (ironic, right?). There was a grand fiasco on what friend group I was going with and who I was getting pictures with. Moral of the story here- make a list of who you want to go with. Basically think of the people you can't "live with yourself" if you don't get a picture with them before prom. Even using that technique, I had a hard time getting a group and it still wasn't perfect. I stressed about it and I'll admit it sort of ruined the experience leading up to prom. But when it came to picture time, it was totally no big deal and I honestly don't care at this point that I didn't get pictures with all my friend groups. Junior year dress was my favorite, and it was the first one I tried on. However, the alterations was a complete NIGHTMARE. The seamstress ruined the top of the dress and made it so tight and added padding that I did not ask for. Definitely not a happy camper here. It took the lady about 4 tries to get the dress suitable for me, but even then it was not as good as before we took it to her. I was really upset about it and still look back on it. Because I was the upperclassman, I bought my flowers and tickets. I made sure every detail was perfect and matched with my dress, which is fine, but I think I got a little too over the top in making sure everything matched. I tried to make everything perfect this year and it made me really stressed out. Funny thing is, all those little things don't even matter while you're at prom! I had a fantastic time at prom and I went to Steak and Shake with a group of 20 of my friends afterwards. Those are the things you are supposed to remember after prom- the fun times and intangible aspects. I was worried about the material things (which is just part of who I am) and that took away from the fun. I was stressed out the day of prom and every little thing made me wig out. Looking back, it doesn't matter. I'm still upset about the dress though, which I should be. 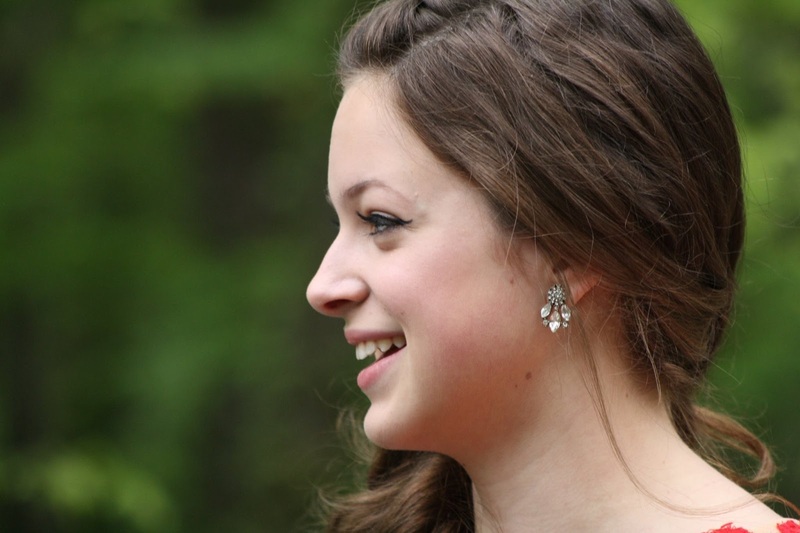 But stressing out about the corsage, the perfect earrings, and the perfect makeup are not end-all-be-all. It's ok to perfect them, but don't let those things be major causes of anxiety. Also be flexible about groups to take pics with- that is one lesson I did not take for granted senior year. Please stay tuned for my senior prom experience! I'll give y'all a little preview: it's been stress free so far! I cannot wait to show you all pictures from my senior prom so please be on the lookout for those! 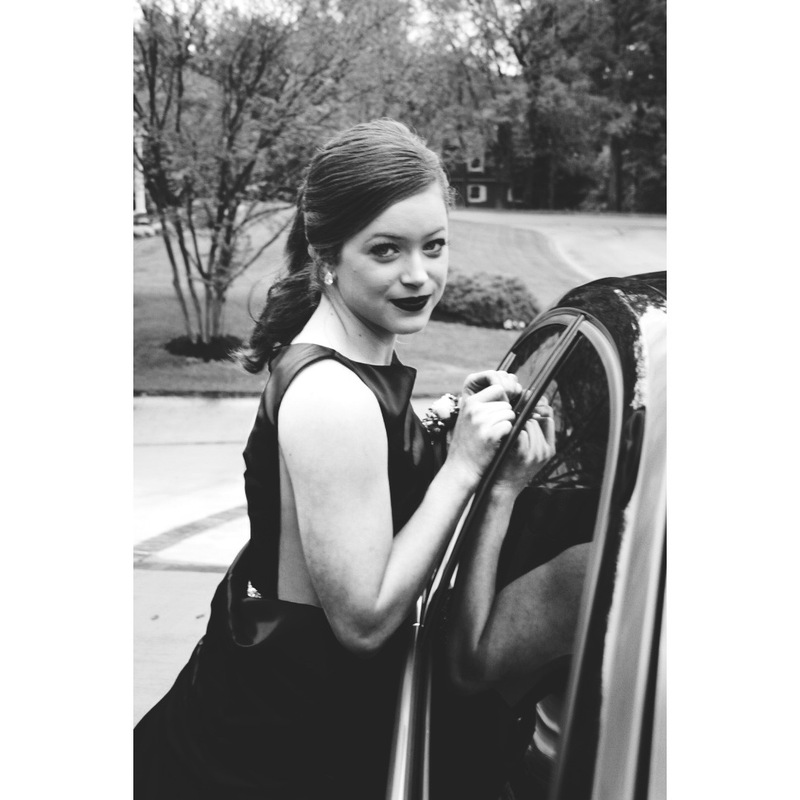 I have definitely looked back on my last two proms whilst planning for senior prom. While senior prom, for me, is not as exciting as my first two proms, I'm still excited! I have let myself relax more about prom and put faith in the hands of others. Little things are not worth stressing over, which I learned from past experience. Have fun at prom and let me know if you have any prom horror stories or fun memories! 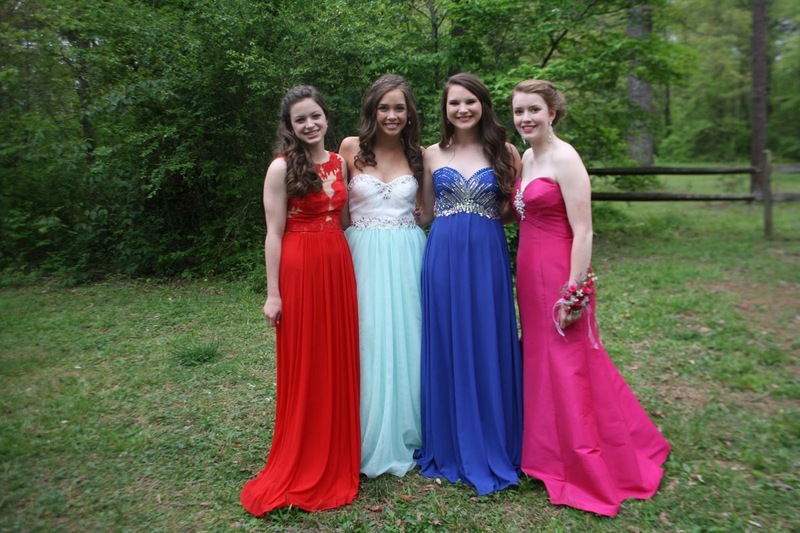 Also let me know what your dress looks like if you are going to prom this spring!